FSI Notification 2018.Forest Survey of India (FSI), Dehradun has released a notification for the recruitment of Technical Associates and Website Developer vacancies.Check the eligiblity and notification prior to apply for the positions. 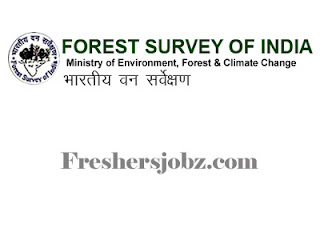 Qualification: Post Graduate in any Science subject/ Forestry/ Environmental Science or M.A. Geography. Or B.Tech in IT/ CS and Working knowledge of DIP/ GIS. Qualification: Masters education in any subjects. Diploma or certificate course in web designing. Selection: Based on written test, hands-on test and interview. Last date for online registration: 16.10.2018.